Welcome to a world of peace and tranquility, where the sun, sea and sky join with the rugged green landscape. 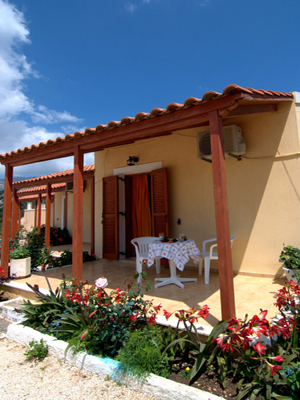 Enjoy your stay at the Ionian island Kefalonia and use our bed and breakfast as the perfect starting point. 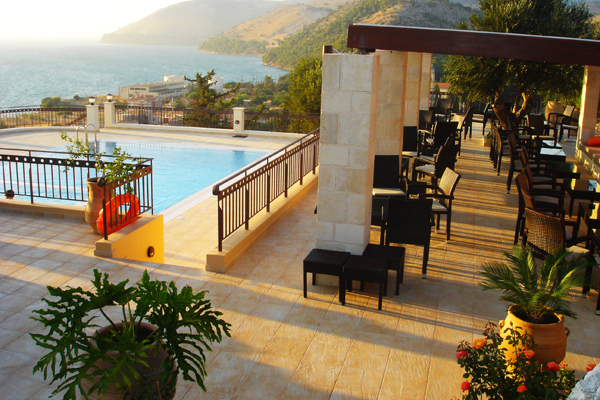 The NorthWest complex is located on top of a hill above the town of Argostoli, offering amazing views to Argostoli, Argostoli Bay and the Ionian Sea. Opposite the entrance of the complex there is the "Charles De Bosset Rock", from which the famous Swiss engineer used to admire his achievement (the rarest stone-built bridge in the whole Europe) and enjoy the view of the town. 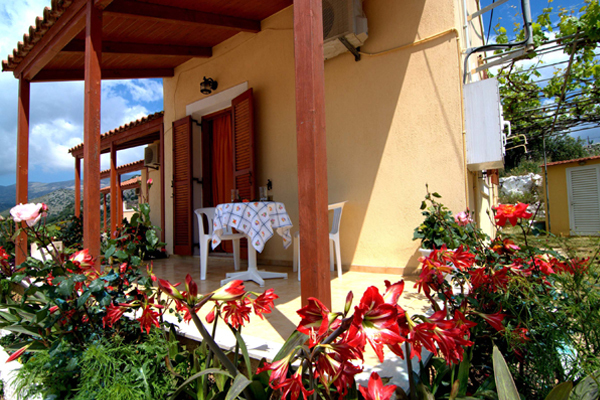 NorthWest is constructed in the typical style of Kefalonia and it is consisted of 9 cozy studios with a traditional atmosphere. 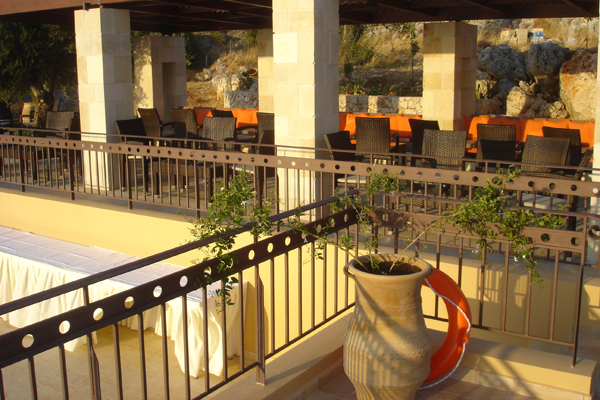 If you wish you may sit in the private veranda of the studios and enjoy the magnificent view and sunset as well as the peace and quite of the most wonderful spot of the island. Next to the studios, a beautiful stretch of parkland has been created with trees, plants, a spacious outdoor pool, an outdoor children's pool and a pool bar. 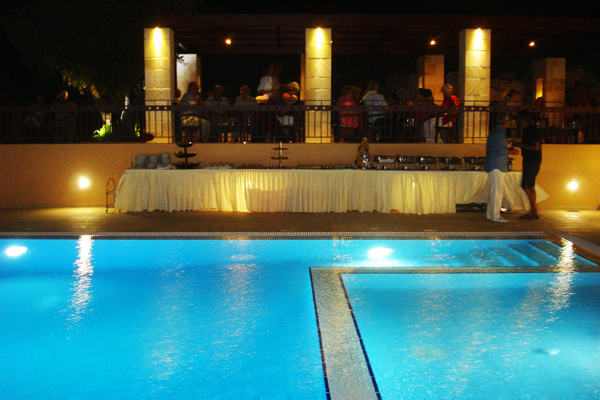 The NortWest Pool Bar serves coffees, sandwiches, ice creams and handmade snacks and sweets. 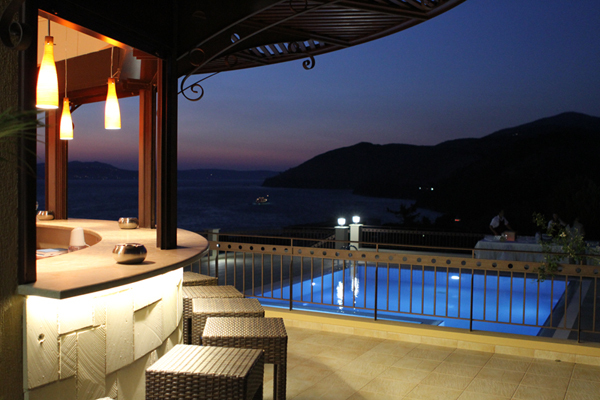 At night you can enjoy your drink or your cocktail, overlooking the beautiful view.